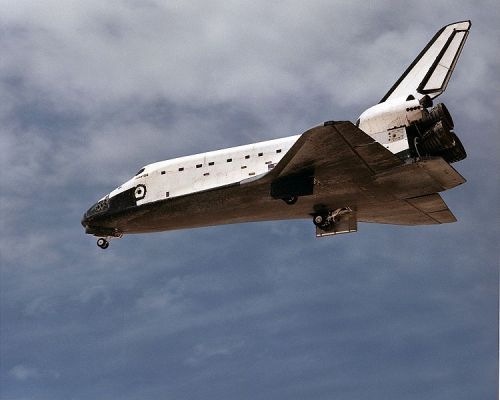 NASA have started to explore the possibility of selling the Space Shuttles [^] once they reach the end of their useful life, sometime in 2010. The expected asking price, a mere $42m US. The only condition is that they must go to an American (US) educational institution, government agency or a state or municipality. 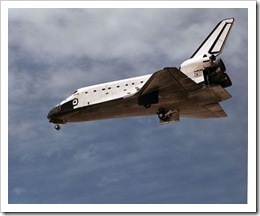 NASA has three shuttles remaining in it’s fleet: Atlantis, Discovery, and Endeavour. One of these is likely to end-up in the National Air and Space Museum in Washington, DC. This leaves only two 78-foot wingspan shuttles available to other groups. For those organisations that miss-out there is an alternative; decommissioned shuttle engines are being offered at between $400,000 and $800,000, plus postage and packing. I have a feeling that the p&p is going to be a little bit more than the cost of a first-class stamp! Image: Public Domain NASA generated. Wikipedia has more information on the Shuttle [^].